Sturgis, SD – Honoring America’s military has long been a Buffalo Chip tradition. Thursday of rally week has customarily been the day set aside to celebrate American freedom and recognize the bravery and unbeatable determination of those who have stood ready to give their lives in defense of ours. The Buffalo Chip will honor several courageous veterans with the Bob Hanson Distinguished Service Award. The Bob Hanson Distinguished Patriot Award will also be presented and two wounded veterans will be honored. A special Veterans’ charity auction will be held at the Buffalo Chip’s CrossRoads on Thursday, Aug. 9 at 4 p.m.
Mundt served in Vietnam with the Fourth Infantry Division and 2/327th Infantry and 101st Airborne Division in 1970 and 1971. During his service, Specialist Mundt, during some of the most intense encounters occurring during the Spring of 1971, was wounded three separate times but never left his comrades in the field. Specialist Mundt was awarded the Purple Heart, the Bronze Star, and the Silver Star, the third-highest personal decoration for valor in combat. 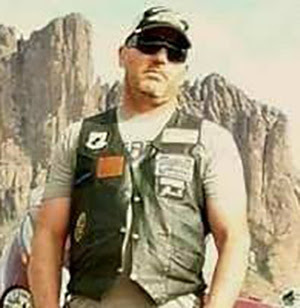 Freeman served in the US Army Reserve for 18 years and deployed to Iraq in August of 2006. He was part of a route clearance platoon operating in the Al Anbar Province, primarily in and around Fallujah. As commander of the lead vehicle, his job was to identify IEDs and other threats. Freeman was personally responsible for clearing 40 IEDs but he sustained six direct hits and suffered three ‘grade 3’ concussions and Traumatic Brain Injury. Airlifted to Germany for a special treatment, it was determined he had sustained too much damage to return to combat. A graduate of US Army Special Forces, Nick Gaines also completed the Medical Sergeant Course (SFMS), Special Operations Combat Medic Couse (SOCM), Advanced Tactical Practitioner (ATP) and the Army Combat Medic Course. 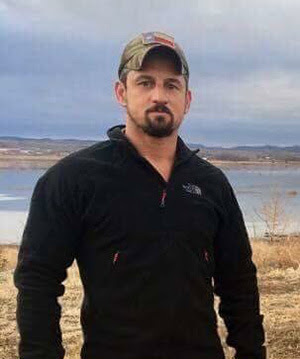 He is a survival expert and graduate of US Army SERE Level C and Peacetime Detention course (Survival, Evasion, Resistance and Escape). Gaines served in the US Army Special Forces (Green Beret) with deployments in the Middle East and South America, and saved countless lives in combat situations. 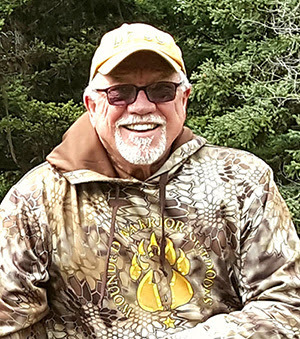 He is currently a Wilderness Medical Associates instructor and outdoorsman. P. O. 2 Lee completed SEAL Qualification training, class 251 in May of 2005. He was assigned to SEAL Team 3. Lee deployed to Iraq with Charlie Platoon, Task Unit Bruiser in May 2006. A fellow ST3 member, Ryan “Biggies” Job, was critically injured by a sniper and Lee single-handedly provided cover fire while other team members prepared Job for evacuation. The team re-engaged the enemy force after the evacuation of Job. Lee was mortally wounded in Ramadi on August 2, 2006 when he exposed himself a third time to draw fire from enemy forces away from his teammates. 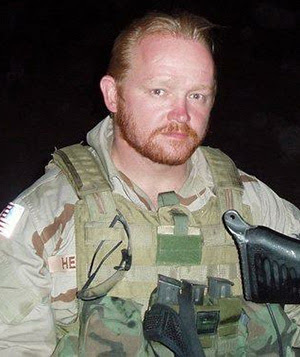 He was the first Navy SEAL killed in action during Operation Iraqi Freedom. 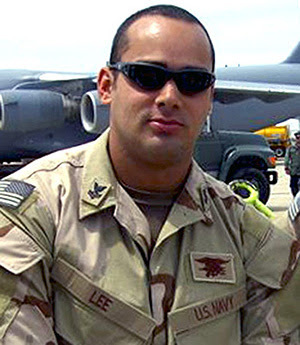 Lee was posthumously awarded the Silver Star, the Bronze Star with Valor and the Purple Heart. Keith Helfrich joined the Army in 1986 and through hard work attained the rank of 18Z, Special Forces Operations Sergeant. He served in combat through Operation Just Cause, Operation Desert Shield, Desert Storm, Operation Provide Comfort II, Bosnia and Iraq. He served four tours in Iraq and retired after 26 years of service with 100 percent disability after sustaining his last injury. He was awarded the Bronze Star for his contribution during Operation Iron Fist. Mat Best joined the Army at the age of 17 and deployed five times to Iraq and Afghanistan, where he served in over 400 direct action raids as a Team Leader and Master Breacher. He was awarded an ARCOM with Valor Device for his service overseas. After leaving the service, Mat deployed to a variety of areas overseas over the course of five years as a contractor with the CIA. 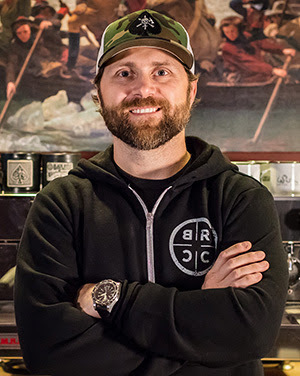 Evan started his career as an infantryman and transitioned into Special Forces, serving with the 19th Special Forces Group. He had multiple deployments in Southeast Asia and the Middle East including the invasion of Iraq. After service Evan worked with the CIA for nine years, five and a half of which were in an operational capacity. In honor of their generous charitable support of Americas Mighty Warriors, Combat Wounded Coalition and the Warrior Dog Foundation, Mark Halvorson and Mandy Walden are the recipients of the 2018 Bob Hanson Distinguished Patriot Award, an award honoring those who support America’s military. Their contributions are helping ensure that America’s Veterans and Gold Star Families receive the quality support needed now and into the future. 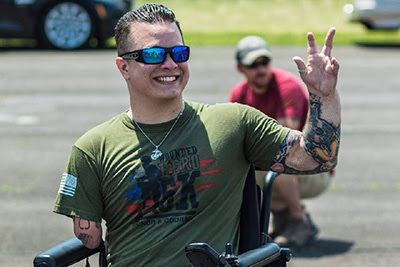 USMC Veteran Tyler Southern was severely wounded in his tour in Afghanistan, losing his lower right arm and both of his lower legs. Although Southern has had to overcome many difficult challenges as a triple amputee, he has remained positive and is an amazing husband and father of two. He is an inspiration for wounded American veterans. Southern is a 2015 Bob Hanson Distinguished Service Award Recipient. The Buffalo Chip made a vow to help Southern regain his freedom to ride by building a custom trike so he can once again enjoy the open road. The specially modified trike will be presented to Southern on the Buffalo Chip Main Stage. The trike was rebuilt and modifications were made by Norm Lovelace with assistance from Justin of Von Metal V-Twin Racing HD Performance in Reno, NV. The Veteran Assistance K9 Program Team, Joshua (Dogman) Perry from Baden K9 Inc. and Kevin (Yoda) Whitenect from Tier1SOF Inc. have over 50 combined years of Tier1 Special Forces Leadership, Counter Terrorism and K9 Operations experience. Their unique whole-person approach to veteran assistance has proven effective both on and off the battlefield. Perry and Whitenect will be presenting a yet-to-be-named South Dakota veteran with a specially trained emotional support dog. 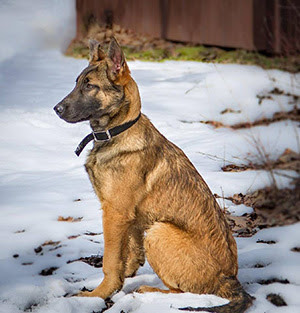 The training the dog has received is designed to enable the warrior to re-engage with their environment, family and, most importantly, themselves. Previous PostMeet Masha NEPOMNYASCHAYA, a 27 year old Ukrainian female Motorcycle PainterNext PostWelcome to the PARIS CAFÉ RACER FESTIVAL 2018, Thrill of the year!